In 1980, Robert Jester joined his late father Roy Jester in the hearing aid business because he wanted to improve people’s lives. 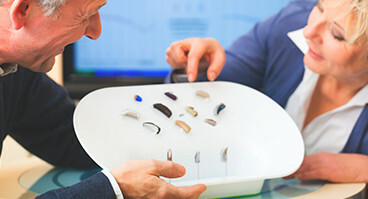 Robert’s father Roy Jester started in the hearing aid business in 1958. Robert has been at his current location since May of 1981 located in downtown Hemet, Calif. He opened a second location in Beaumont in 2009. Robert is a member of the Hemet and Beaumont Chamber of Commerce. Robert is a 25 year member of the International Hearing Society and Hearing Health Care Providers Calif. Jesters Hearing Aid Center was voted the best place to buy a hearing aid 6 years in a row from the readers of the Press Enterprise daily newspaper.